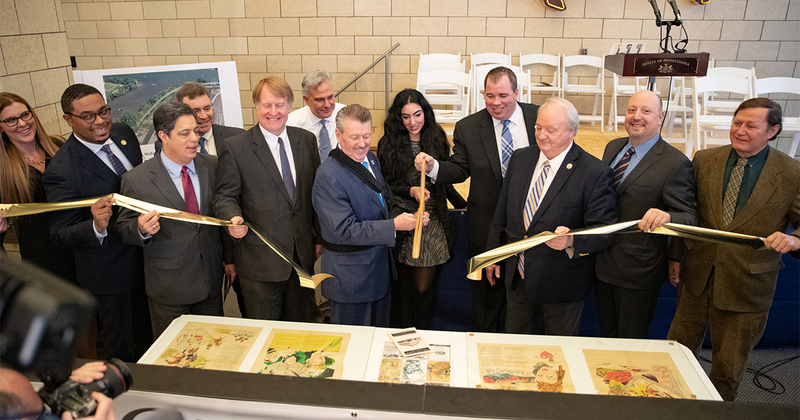 McKeesport – February 11, 2019 – At a ceremony at the former Daily News building in downtown McKeesport today, state Sen. Jim Brewster (D-Allegheny/Westmoreland) celebrated the grand opening of the new Tube City Center for Business and Innovation and detailed how a new elevated trail and multi-modal transportation center will bolster the fortunes of the Mon Valley. Brewster and McKeesport Mayor Michael Cherepko hosted grand opening activities. “This is truly a new and exciting day for the Mon Valley,” Brewster said. “The Tube City Center will be a focal point for business innovation and entrepreneurism. The new center will create opportunities in media, education, government service and business. The Tube City Center will include offices of the Mon Valley Independent, Tube City Community Media, Allegheny County District Attorney Mon Valley Support Center, Center for Media Innovation at Point Park University and Flashover Fire Apparatus and Equipment Company. At the ceremony, Brewster recognized Trib Total Media and its President and Chief Executive Officer Jennifer Bertetto for the donation of the building and the work that was done to transform the structure that formerly housed the McKeesport Daily News into the Tube City Center. He also hailed the efforts of Allegheny County District Attorney Steve Zappala for locating the new Mon Valley Support Center in the building. “This new office will be an incredible resource and will provide immense benefits for all communities throughout the Mon Valley,” Brewster said. He said the new building will have local offices for the Mon Valley Independent which will help expand coverage of the valley and Tube City Community Media will operate a radio station out of the facility. Brewster thanked the media outlets for their commitment to locating in the new building. In addition to the other entities located in the center, Point Park University’s Center for Media Innovation will operate out of the facility. Brewster said that this is an incredible addition to the region’s education opportunities enabling more students to gain invaluable experience. Currently there is one other business that decided to locate in the center. The senator said that the Flashover Fire Apparatus and Equipment Company has retained office space in the building. 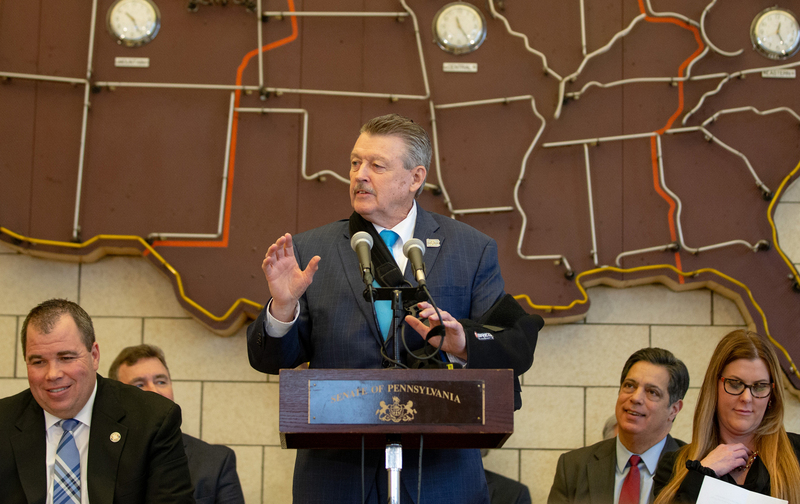 Brewster said the other projects outlined at the event – the lighted and elevated Great Allegheny Passage trail and the new Port Authority of Allegheny County Transportation Center — are perfect fits for the region. Last year, Brewster helped secure a $2.9 million grant to transform a portion of the Great Allegheny Passage trail and create a lighted, elevated trail adjacent to the Monongahela River. Brewster said the goal is to reroute the current trail away from the main roads and connect with an overlook over the river, then descend and connect with current trail near McKees Point. The project also includes funds to refurbish the Lysle Boulevard Parking Garage and construct an elevated walkway to the Tube City Center.